Tears On Tape is going out on the 29th of April in the UK & Ireland in the form of DoubleCross/Cooking Vinyl's. As for the USA & Canada the album will be distributed by Razor & Tie. Thi is more than an obvious hint that the band is planning to fully concentrate on creating their music the way they want it and is totally regecting to go for another commercial label that goes for the profit! The band is gonna have an exclusive gig at London’s Dingwalls venue on the 26th of April, where they are planning to play the new material( I hope all of it :) ). Also, in one month period the tour dates are expected to be released. Me, personally hopes that this would be during May, so that since September they could start the European tour. As it looks like, the band will keep us in the dark till the very last moment!Apparantly for St Valentine's Day and more specificaly Heartagram Day, which this year has been planned on the 9th of February, we will manage to see the surprises, so long anticipated. But until this day lets take some time to enjoy the small changes taking place at the webcite. The first thing that I want to mention is that from this week all the links in TVReuqest have been uploaded as a prmenant storage. Thanks to our friends from thesacrament.net, all the concerts and video clip will be stored at their adress and only one click will devide us from the possibility to be downloaded. Qickly, easy with no restrictions!If you experience any poblems, have innovative opinions or ideas - please do not hesitate to wite to us! 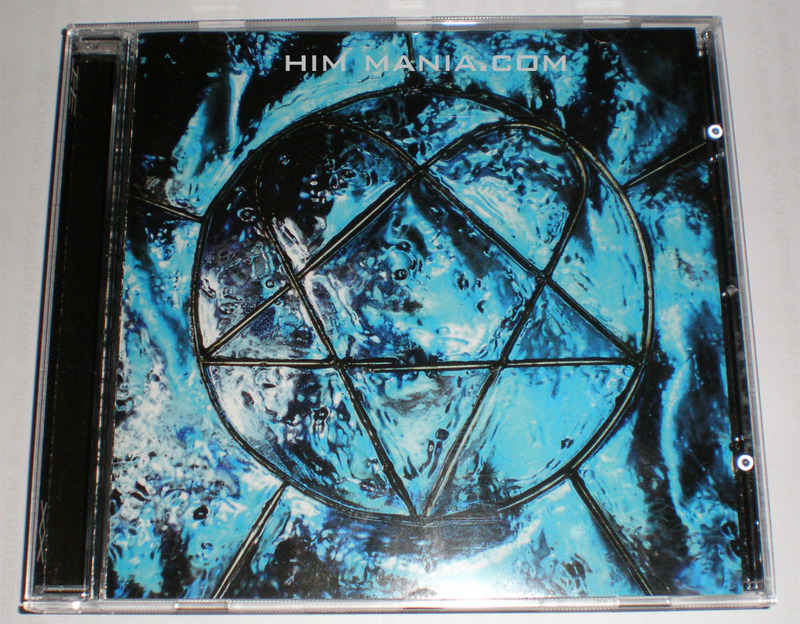 The secong newby in the webite is the menue Others - Archive - heartagram.com. I have made a backup pictures of the official webpage during every single one of the long years it has been existing. HAVE A VERY MERRY CHRISTMASS AND A HAPPY NEW YEAR! At the moment the album is being mixed by Tim Palmer in London and should be almost ready. Heartagram.COM should be working again pretty pretty soon and enlighten us about the new cover design o f Tears On tape. HIM reached up to number 3 in the contest! Let's keep the votes up so we can reach number 1 next week :) Keep voting! Let's support our favourite band in the weekly moll at radio Tangra. Lınks renewed: Full Concerts, Making Of, Interviews, Video Clips в TVRequest. The news are stıll hot, just a countless minutes ago HIM confirmed they will be playing at Download Fest 2013.İt is only the start having in mind the upcoming new album.Many more megafests and tours!We personally should keep our eyes open for dates nearby and around Greece, Turkey,Romania and why not afterall Bulgarıa...it is high time after 11 full years and it seems like next year would be the perfect timing! What is going on currently? - the heavy will sound even heavier, while the beautiful and melancholical will sound even more beautıful and melancholical. That's how the compilation looks like. İt is possible already to be purchased in the music shops at the price of 20-25lv. The video of this month is the extremely rare recording from 2000 - Zofingen Festival, Switzerland. As you already know, Strange World leaked out in the web just a few days ago. This forced the producers from Sony Music to decide and change the release date of the single from the 21, to the 10th of September. We are expecting the video in the next few days. If you wish to support the band you could buy the track on-line for the price of only 1 euro from iTunes or Amazon. The good thing, however, is that the song managed to reach TOP5 of the mostly purchased tracks in Amazon, which is a great sign for one good return! And s, the band has been in studio for over a week now recording the new tracks of the upcoming album named Tears On Tape. I am repeating that news again because there are constantly rumours stating different titles for the project. That's why, please believe only to the official information, released in the main forum or facebook page. In a short interview given for MTV3, Seppo confirmed the complete rehalibitation of Gas and his arm and is certain that he will be ready for the long tours in front of the band through out 2013. .More information we can find out from Ville, in an article in Soundii magazine, which is expected to reach us next week. And here comes a video filmed by Linde himself during the work on Strange World recordings and the equipment he used for the song itself. I almost forgot! All links in TVRequest have been succesfully renewed!